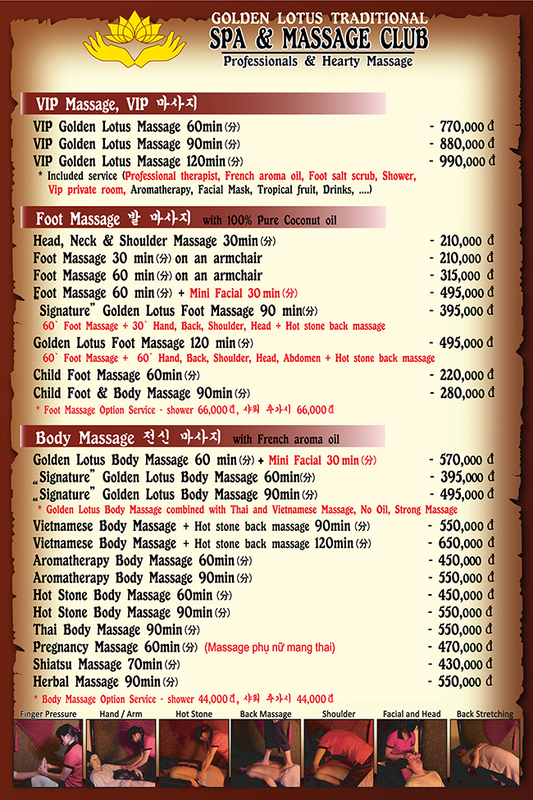 The Price of Massage Service in District 1 District 3 District 7, Ho Chi Minh City. 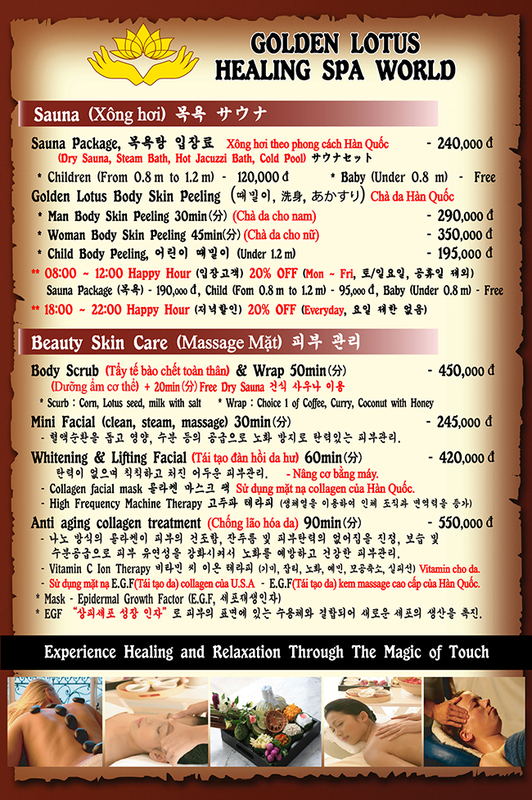 Golden Lotus Spa is best spa to relax after working, include: Body Massage, Thai Massage, Foot Massage, hot stone massage..and many massage service others. Please check the list price below. Promotion of Golden Buffet – Vietnamese-Korean delicacies5 (100%) 1 vote Real surprise!.